I must admit I have never prepared lobster tail, and I think I have only eaten it once at the Yosemite Lodge while on my honeymoon. Lobster tail was our Chinese teenager's contribution to dinner this week. I was happy to oblige, but a little daunted by this crustacean, I mean it is expensive seafood. After much reading and searching, I think I came up with a way to prepare the lobster tail, and now I will share the tale of how I prepared it. Like that play on words, huh? Maybe my tale of tails was a bit of overkill. Sorry it's been an early morning. Girl Scout cookies, so I missed it. Snip the top of the lobster tail straight down to the end of the tail. slightly since it is attached. 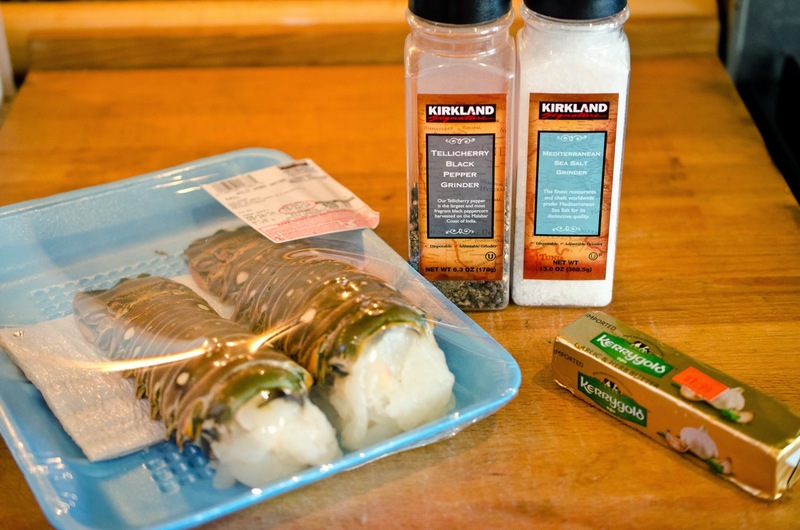 Holding open the shell of the lobster, sprinkle salt and pepper on the flesh. Slice half the butter into 1/4 inch pats and place inside shell on the lobster meat. 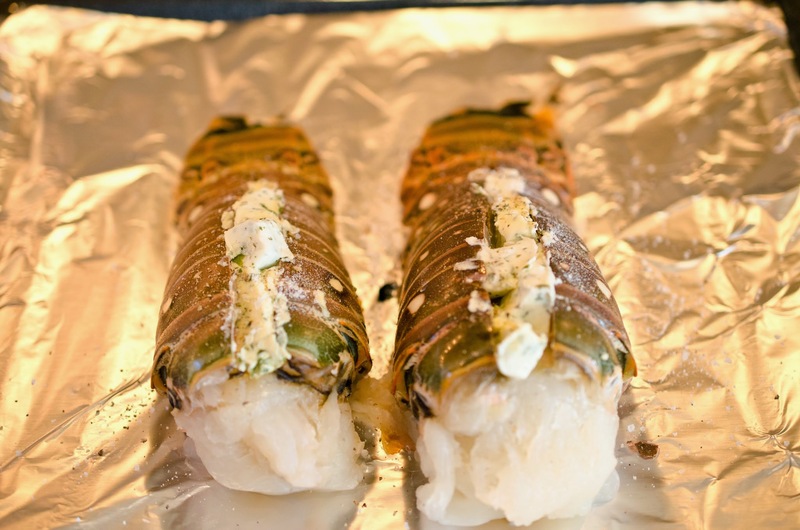 Place lobster tails on aluminum foil lined broiler pan. Place the top rack of your oven in the middle of the oven. Put pan with lobster tail on rack and turn on broiler to high. Place a ball of aluminum in between the door of the oven and the oven to keep the door from closing. (This will trick the oven into keeping the broiler flame on. Broil lobster for 8-10 minutes or the flesh becomes opaque. 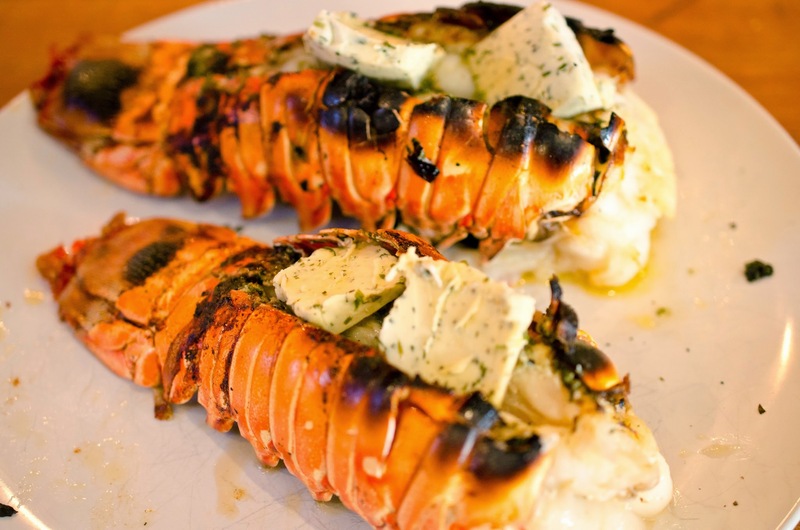 Remove lobster from oven and slice the remaining butter into pats and place on cooked lobster tail flesh. For never having cooked lobster before, you sure did an amazing job!